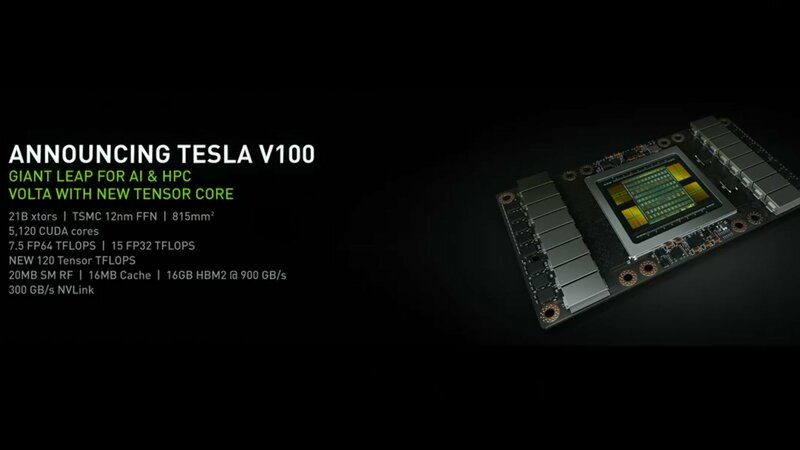 Nvidia has announced their Volta-based Tesla V100 GPU, which uses HBM2 and has 5,120 CUDA cores. Read more on Nvidia's new Volta-based Tesla V100 GPU. Woooow. That card has cajones with their own gravity field. I also just read what their CEO said about the competition level. He said he does not believe the current situation in regards to performance levels will change this year(referring to Vega). Kinda worries me. If this is the case, AMD need to start shelling out money to studios to get better optimization for their stuff. I understand why he is confident. AMD is no treat at all. AMD needs to take that money that they would give to companies for optimisation, and marketing, and free coffe for workers, and create one uber mental GPU and just bump it on the market. No announcements, no marketing. Just come one day and say here is our GPU and it destroys the green team. Then we would have proper competition. Until that day nVidia will rule like they have ruled all this years, and AMD would just get scraps at the lower end market. Even with their "new" RX 500 cards they are not worth buying. The RX500 series is worth buying. AMD is a threat, they are capable of competing, but they are strapped for cash. I think you over estimate how Nvidia "ruled all these years". They really have only been ahead with Pascal, and as time goes on, there older cards get worse while AMDs gets better. Well I don't think it is. Yes you get 2GB more memory on RX than 1060 but at 1080p (which is the resolution for this cards), it doesn't make a difference. 1060 is 20-30 euro/dollar/pound more but you get cooler card, way more efficient card considering power draw, works better on most games, and you get PhysX which is lovely on games that support it. When will they announce the GeForce parts you think? Come summer maybe? Or much closer to the end of the year? They are pretty equal at 1080p and at 1440p which these cards also do great at, they are both fine. But you get more memory, which is a big deal. PhysX is crap as is 99% of all the Nvidia "features". The only cool thing that doesn't destroy performance is Ansel. And again overtime they lose performance compared to AMD. And memory requirements overtime also rise. Makes sense to get AMD. I am not a fan boy. I have owned AMD, Intel, nVidia all the way, and in every combination. At the moment there is no point in buying Intel CPU. Performance difference is marginal, and the price point is mahoosive. I am planing a production rig and it will be Ryzen. Sorry but on the GPU playground at the moment, and this is painful truth to some ones, unless Vega changes things (oh this will stir some pots), green team's slogan stands high and bright: nVidia The way it's meant to be played.